Marico is one of India’s leading consumer products and services companies in the global beauty and wellness space. From its inception, Marico has worked outside the box to bring innovation to its customers through the careful creation of continuous and sustainable change. Parachute is one of Marico's many popular brands. Marico’s head office is based in Mumbai. The company recorded operating revenues of US$851 million in its most recent financial results. Marico is currently present in more than 25 countries across Asia and Africa. Its vast portfolio of brands, such as Parachute Advansed, Saffola, Hair & Care, Nihar, Mediker, Revive and Manjal, are leading household names today. Additionally, the company recently acquired the personal care business from Reckitt Benckiser and now owns popular brands like Set Wet, Livon and Zatak. India is one of the most exciting consumer markets in the world. An expanding middle class population with rising average income and increasing spending power, coupled with rapid urbanization, have galvanized India’s consumption story. Fast-moving consumer goods (FMCG), with a market size of over US$13.1 billion as of 2012, has been identified as the fourth largest sector in India’s economy. Companies are constantly fine tuning their strategies and offerings to please the Indian tastes and preferences. Many are diligently tracking consumer shopping and purchase behavior and monitoring product movement across regions. Marico depended on daily sales reporting that the staff would prepare and email to senior management. These reports offered little flexibility and management was not impressed as they could only get few insights out of them. Lack of standardization and inaccuracies also plagued these manually created reports. Karan and his team then looked into finding a business intelligence solution that would help the company leverage the sales data in a more effective manner. “When I joined Marico in 2012, one of the first things I wanted to look at was to develop a holistic business intelligence layer that would serve the entire organization in a comprehensive manner,” Karan elaborated. Today, Karan and his team of four use Tableau to analyze a large amount of data on retail behavior, sales and marketing, inventory movement, procurement of key inputs, etc., gaining detailed insights into the company’s performance. They present the visualized data to teams from various departments in the company, and this has helped drive a change management initiative to provide easy-to-consume and highly customized dashboards/reports (updated with the latest data) to the company’s decision-makers and management. The various department managers gain access to business insights via Tableau Server, retrieving key information on sales, customers and products from their desktops or on-the-go via their mobiles and tablets. With Tableau deployed, Marico now has standardized reports in a clean PDF format and customized dashboards with vizzes reflecting all manner of KPIs for managers to get the insights they need out of the data. In addition to the ease of reporting, Tableau has also offered Marico significant cost savings. Marico has invested tens of thousands of dollars in Tableau, as compared to hundreds of thousands of dollars of investment in traditional business intelligence (BI). To-date, Marico has yet to spend a single dollar on additional consultation or implementation costs on Tableau, which is a testament to Tableau’s ease-of-use in both personal and enterprise scenarios. Karan shared that the Tableau reports have become so embedded within the organization that his team would get calls and messages from their colleagues asking for the reports if they do not see it in their mailboxes at the start of each day. He believes the data-driven culture that Marico is heading towards has been given a great boost by the extremely end-user and data analyst friendly features of Tableau. To be able to look at any data and immediately analyze and gain some insights from it is pretty amazing. What Tableau allows you to do is to create analysis as fast as you can think about the analysis itself. 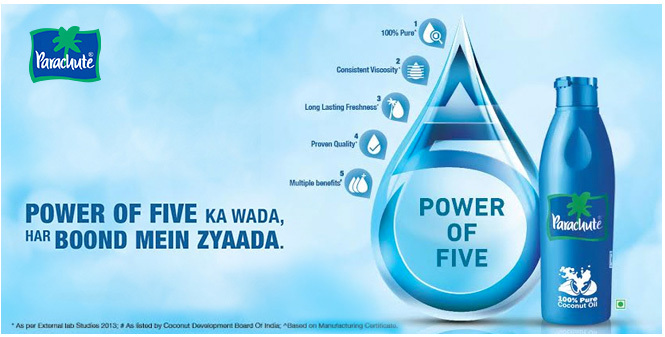 Marico business managers now save about 5 to 20 man-hours per month, per analytical report. They have also developed and deployed more than 40 reports and dashboards since implementing Tableau in 2013. Karan’s team can now provide detailed reports and dashboards on a daily basis, which was not possible previously. Marico plans to deploy Tableau in other geographies and utilize the software across the entire organization within the next 12 to 16 months. Girish Rao, Head of IT & Business Analytics at Marico India shares that Tableau is a tool that the company plans to invest in for the long-term.